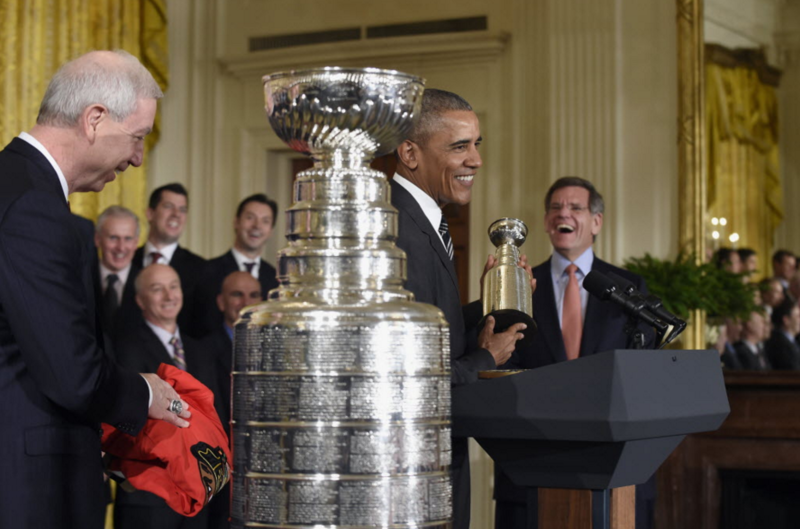 President Obama, flanked by Blackhawks president John McDonough, left, and chairman Rocky Wirtz, holds up a small version of the Stanley Cup during a ceremony at the White House Thursday. Welcome to the Reader's morning briefing for Friday, February 19, 2016. Is the Trump Tower's property tax deal too good?